Pemphigus is an autoimmune skin disease in dogs. This page looks at the symptoms and treatment of canine pemphigus. Autoimmune skin diseases occur when the dog’s body mistakenly recognizes a specific component of his own skin as “foreign”, instead of “self”. As a result, the immune system starts making antibodies (called auto-antibodies) against that component, targeting and attacking it. In pemphigus, the auto-antibodies target and attack the walls of the skin cells. This makes these cells unable to remain attached, so they separate. As a result, the outer layer of the skin splits apart and fills with fluid and cells, forming fluid-filled blisters and pustules. What triggers or stimulates the auto-antibodies to form is unclear. There are four types of pemphigus in dogs: Pemphigus foliaceus, pemphigus erythematosus, pemphigus vulgaris, and pemphigus vegetans. 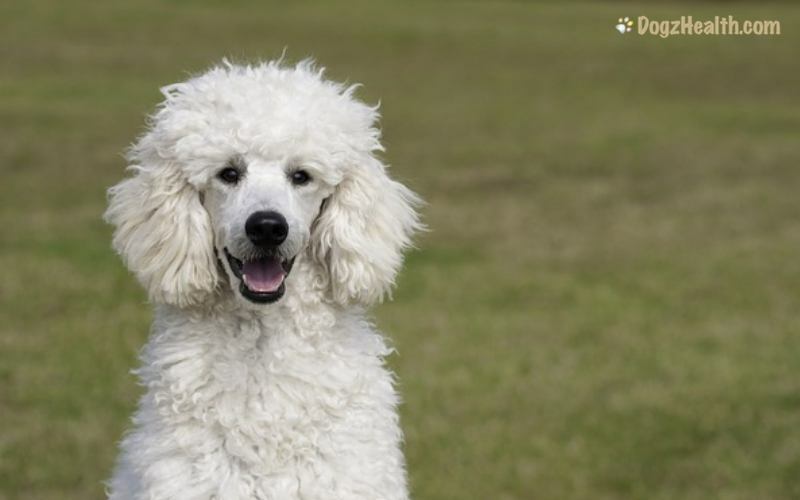 Pemphigus foliaceus is the most common autoimmune skin disease in dogs. A localized variant of P. foliaceus is Pemphigus erythematosus. Pemphigus vulgaris and pemphigus vegetans are uncommon in dogs. This page focuses on pemphigus foliaceus. To learn more about autoimmune diseases, please visit this page. Pemphigus foliaceus is a pustular dermatitis. In other words, it is a skin disease that results in the skin forming pustules. The disease tends to begin on the bridge of the nose and the ears. It then progresses to the feet, including the foot pads, and legs. Eventually it also affects the skin of the trunk and the rest of the body. At the beginning of the disease, you may see red skin patches that involve the face and ears. Later, you will see the skin patches progressing to the feet and eventually to the rest of the body. The red skin patches rapidly develop into blisters and pustules. They then become dry, yellow crusts and stick to the underlying skin and hair. When the feet are involved, the foot pads become thickened and cracked, causing pain when the dog puts weight on his feet. Some cases of pemphigus foliaceus affect only the foot pads. Therefore, if your dog has a painful limp with thickened and cracked pads, he may be suffering from pemphigus foliaceus. In addition, dogs with pemphigus foliaceus may have a fever and refuse to eat. Pemphigus foliaceus is mostly seen in dogs from 2 to 7 years of age. A vet makes a definitive diagnosis by skin biopsy. Unfortunately, there is no cure for any form of pemphigus in dogs. Most vets use drugs such as corticosteroids (e.g. prednisone) to suppress the dog’s overly-active immune system. This can reduce symptoms drastically in about 50 percent of dogs suffering from pemphigus foliaceus. High doses of corticosteroids can work rapidly and offer quick relief to dogs with this disease. However, long-term use of corticosteroids can cause numerous side effects, so usually the vet will only use corticosteroids early in the treatment. 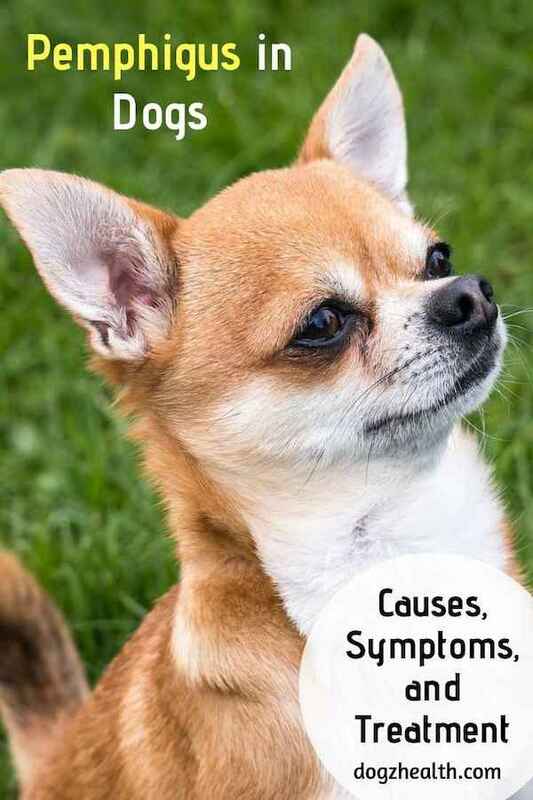 Once the symptoms are somewhat under control, the vet will use other immunosuppressive drugs that act more slowly and have fewer side effects. Some such drugs include azathioprine, cyclophosphamide, or chlorambucil. By using these slower-acting drugs, the vet may eventually decrease the dosage or even eliminate the use of steroids. Sometimes, if corticosteroids cause a dog too many adverse side effects, the vet may use gold salt injections (chrysotherapy) as an alternative treatment. This involves injecting gold salts at a dosage of 1 mg/kg/week. The dog generally shows improvement in about 8 to 12 weeks. If there is no improvement, the vet will increase the dosage and the treatment continues for 20 weeks. Once the dog is showing good response, the vet will decrease the frequency of injection. Treatment of this disease is life long. Some supplements may help a dog with pemphigus. In particular, it has been found that vitamin E (d-alpha tocopherol) together with vitamin C (ascorbic acid) can help control this skin disorder. Plant sterols are certain plant chemicals that have the ability to modulate immune responses. They are also anti-inflammatory so they can decrease skin inflammation while enhancing immunity. Omega-3 fatty acids, such as salmon oil or krill oil, are also anti-inflammatory and are effective in helping to heal skin lesions and inflammatory. A dose of 50 to 250 mg/kg per day of salmon oil or krill oil is a good starting point for decreasing skin inflammation caused by pemphigus.